10 Seconds of "Quantum of Solace"; Oscar for Wall.E? 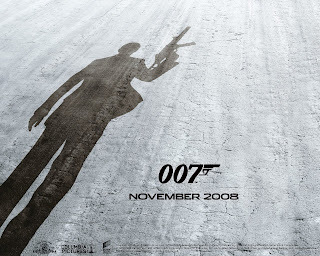 The first clips of new James Bond film Quantum of Solace have hit the web. Lots of stairwells, babes and punching, which bodes well for when the real trailer hits Monday. Keep yr eyes peeled. Peep the montage at First Showing. In other news, Nikki Finke reports that Disney and Pixar will push hard for a Wall-E Oscar bid. As a Pixar diehard, I think it could be one of the studio’s best films — the trailer is absolutely breathtaking. Plus a nomination will give me the excuse to keep annoying my girlfriend by bleating “Waaaaallleeeeee!” for the next eight months.